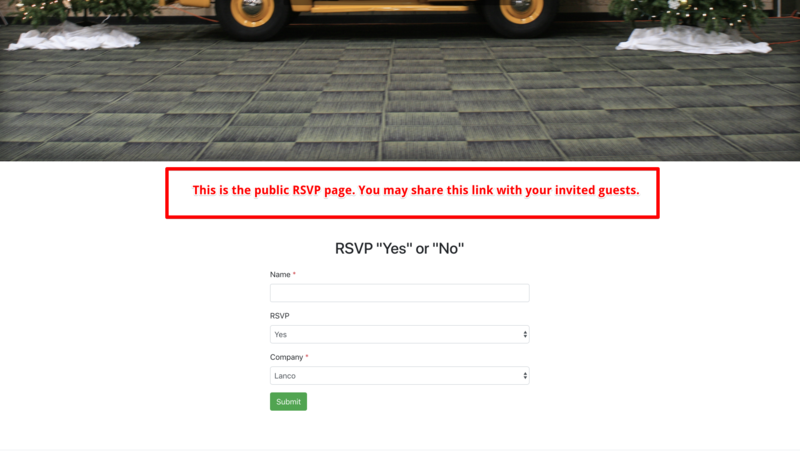 RSVPs are a great, simple way to build out a guest list for your event. The RSVP form is added to the event page as a section. 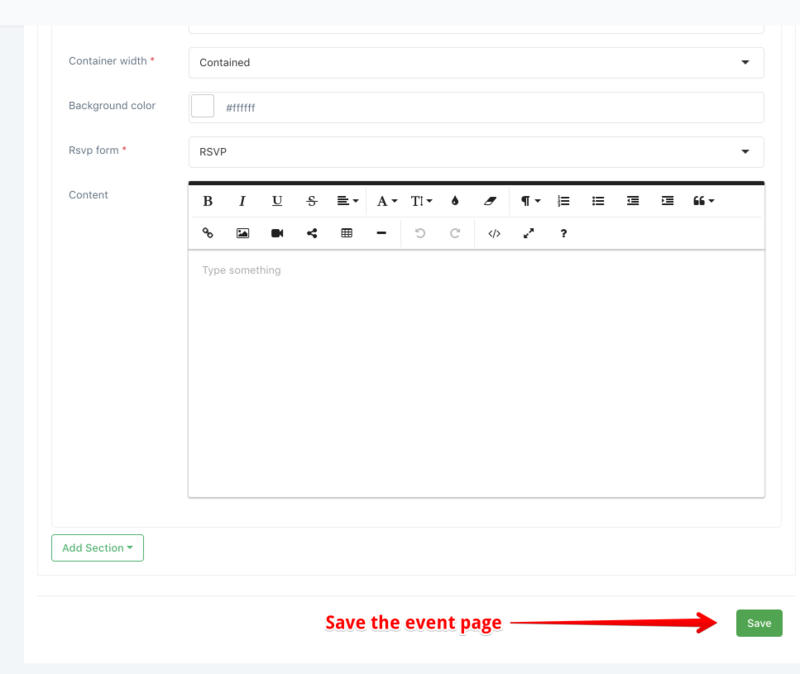 From Events > Upcoming, click Manage for your event, and then select the Event Page option from the menu on the left. 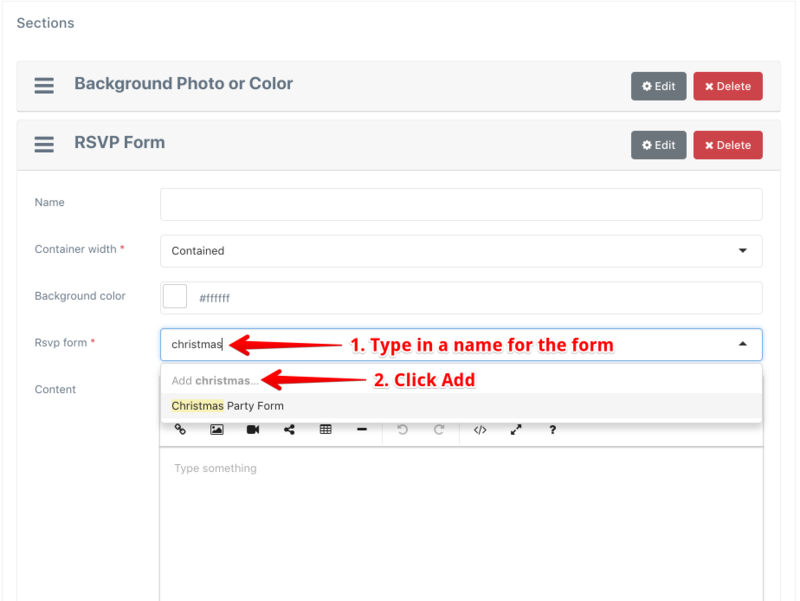 Use an existing RSVP form or create a new one by clicking "Add.." after typing in the name of the form. 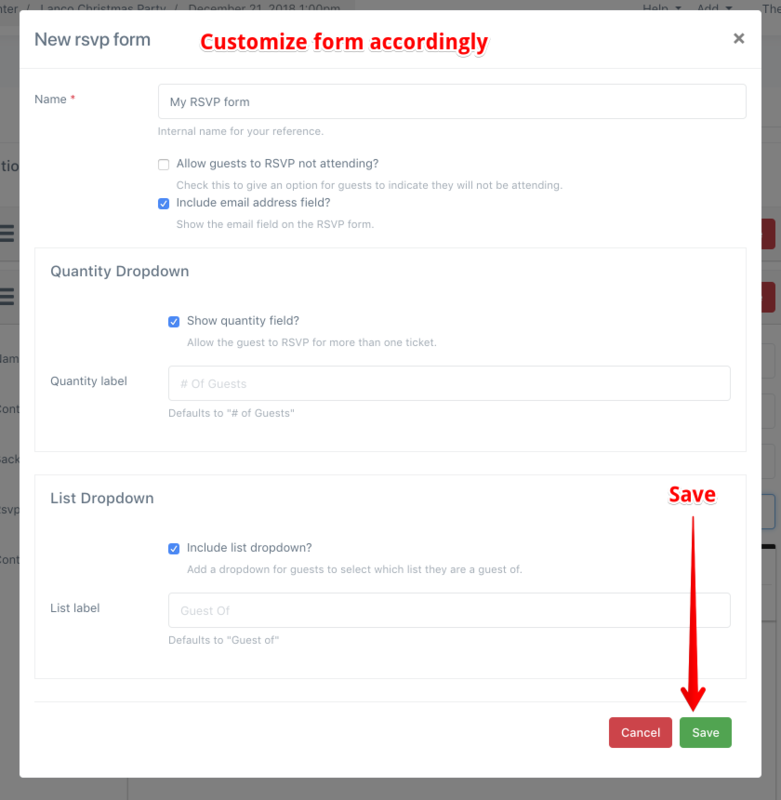 Customize your form settings accordingly. View the public RSVP page by clicking on "Event Page" from the top. You may share this page with your guests and start collecting RSVPs! 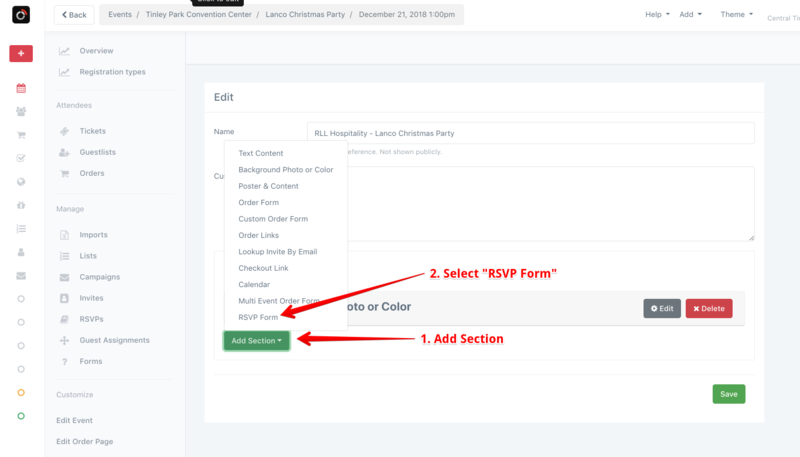 When a guest RSVPs, they will show up in the RSVPs section of the event manager. If a guest RSVPs Yes (or you have "allow decline" disabled), a corresponding number of tickets will be created in the tickets section. The ticket is what you will check in at the event. 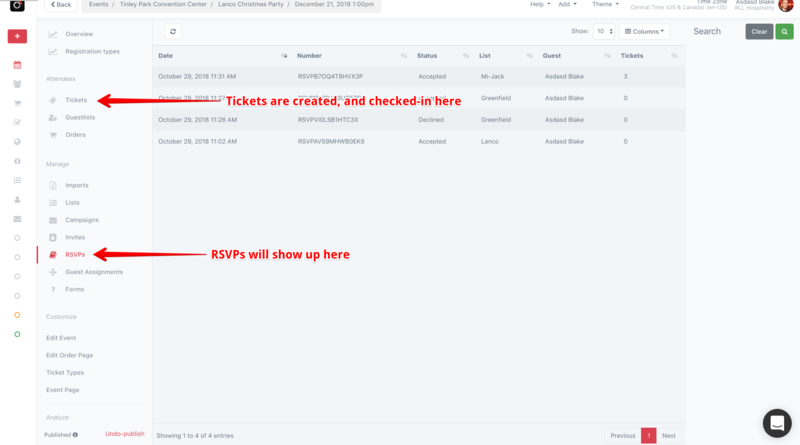 When an RSVP is collected, a corresponding number of tickets are created. 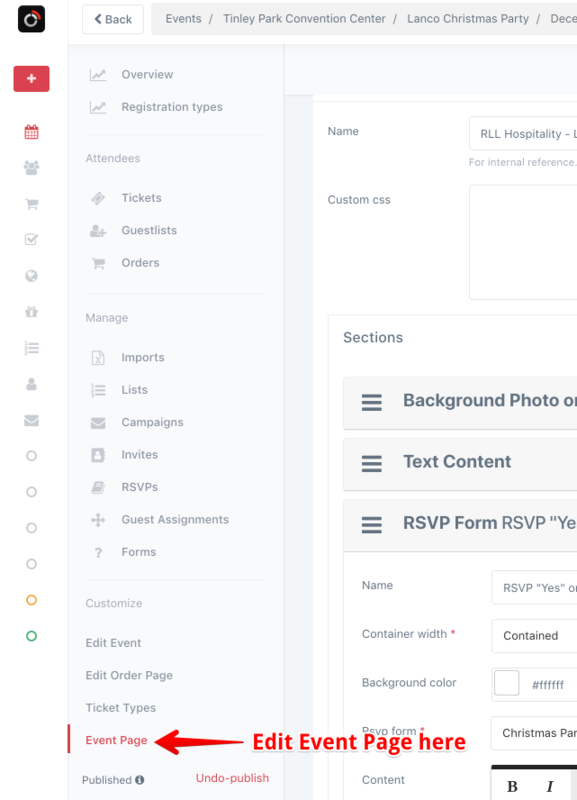 For example, if a guest RSVPs for 3 people, 3 tickets will show up in the Tickets section of your event, and you will check in each ticket as those 3 guests arrive.